Matt Winkelmeyer/Getty Images for WIRED25Jony Ive (L) and Anna Wintour speak at WIRED25 Summit: WIRED Celebrates 25th Anniversary With Tech Icons Of The Past & Future on October 15, 2018 in San Francisco, California. Apple’s chief design offer Jony Ive says “it would be bizarre” for Apple not to be secretive. Apple is famously, insanely secretive – and according to its head design guru, that’s because it’d be weird not to be. 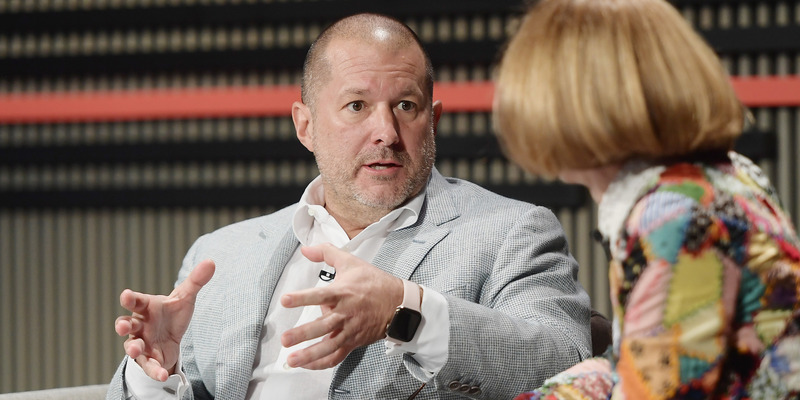 On Monday, Apple’s chief design officer Jony Ive appeared at the Wired 25 conference in San Francisco, California, where he was interviewed by legendary fashion journalist Anna Wintour, who probed Apple’s urge for secrecy. Apple jealously guards its secrets, tightly keeping its unannounced products under wraps and hiring an army of ex-NSA agents to police its workforce for leakers. Its practices have since become a model for other tech companies looking to emulate the Apple magic – to greater or lesser degrees of success. Ive frames this urge towards confidentiality as necessary to not add “noise” to the process. “I know lots of PR departments who want to talk about something that’s been worked on,” he said. “I’ve been doing this long enough where I actually feel a responsibility to not confuse or add more noise about what’s being worked on because I know that sometimes it doesn’t work out.